Cults are not known to be a particularly productive or positive part of society, and films about the subject almost never portray them in a good or affirming light. Groups assembling together to practice obsessive devotion to some deity or concept are often seen as dangerous if they don’t conform to established standards of normative religion, and, good or bad, legitimate or illegitimate, they can have the power to make people do just about anything. Worst of all, getting out once you’re in can be a difficult if impossible process since being part of something is an infectious feeling that often can’t be matched by anything else. 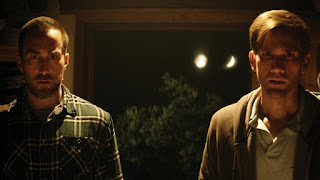 “The Endless” is the story of two brothers, Justin (Justin Benson) and Aaron (Aaron Moorehead), who were able to achieve an escape from what they term a “UFO death cult” at a young age and haven’t managed to do all that much since. When they receive a message in the mail that appears to be from the cult, they are drawn back in by an incredible curiosity. Aaron is quick to see and appreciate the charisma of leader Hal (Tate Ellington), Justin is less than willing to succumb and let go. As they navigate the perils of what they might be undertaking, they experience a number of events that lead them to believe that not everything about the cult may be crazy after all. 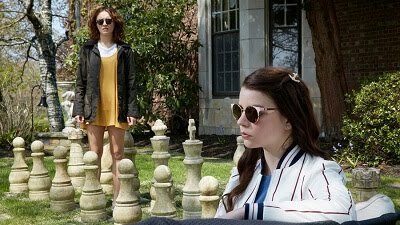 Benson and Moorehead have established themselves as independent filmmakers with a distinct style and vision with previous films at the Toronto International Film Festival and Tribeca, and their latest effort is certainly no exception. The casual nature with which the on-camera brothers interact and the simplicity of their conversations stand in stark contrast to the majestic, enormous nature of the world they are reentering. Once the film begins to venture into territory where it is presenting fantastical and seemingly supernatural evidence that can serve to back up some of the key tenets of the cult, it turns from an eerie drama into something altogether more haunting and chilling, reminiscent of the 2014 film “Coherence,” which also presents a strange and distorted version of reality that has managed to trap people within it with no hope of escape. This film doesn’t resound quite as much, but it’s an intriguing and unsettling exploration of what it means to give oneself over to a sense of inevitability and accept that any sense of normalcy or control is out of reach.